Welcome Challengers! Are you ready to make some art? Today is the first day of my Make Art Not War 2017 Challenge, and I couldn’t be more excited. I feel its energy, its power, and the impact its already having on my frame of mind. My focus is narrowing, my to-do list filled with my own worlds is no longer optional, and I’m retreating to a safe, emotional space for at least an hour a day–if not more. I’ve had a few conversations about the challenge and realized that it’s resonating louder than I expected. Artists are fired up, because we can’t run from who we are–even in times of war or strife. We need a safe space to create where we can channel that important, necessary piece of ourselves; art isn’t something we do, it’s who we are. I can’t imagine not making art or writing or designing games; strip away my ability to create and I’m a gaping void, a hole that can never be filled. For me, this hour is a promise: no matter how bad it gets, I get one hour a day to be true to myself. For you, the challenge might be something as simple as “I finally get the chance to set aside time for my own art.” Or, it could be as complex as “I’m avoiding the exploration of this story, because it’s painful for me to write. This will help.” One size definitely does not fit all. A friend of mine also pointed out that this challenge may attract brand new artists who have never done anything like this before. We talked about pointing out various resources, and I’m going to think about that because so many references make promises that don’t match reality. The secret to becoming a writer, is that there is no secret. 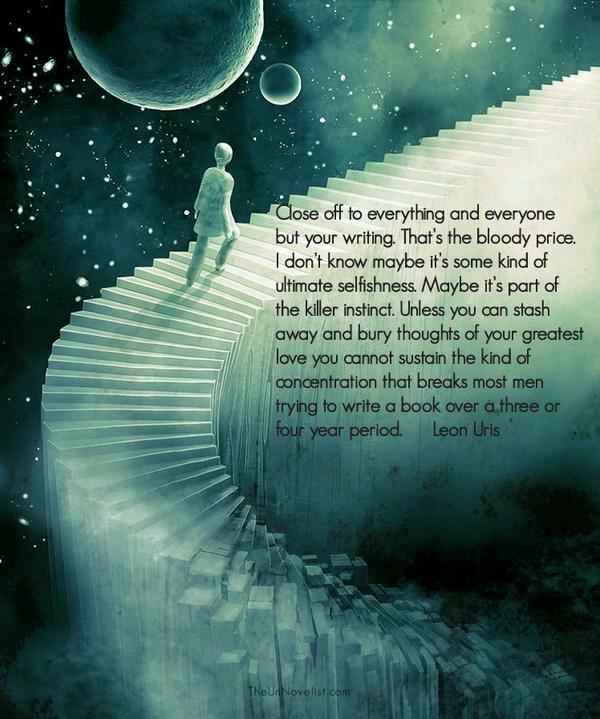 You write. That’s the secret. But, a lot of people must believe there is a secret, because so many books sell you on the idea that becoming who you want to be is easily accomplished in ten specific steps. It’s not, and in a way I feel that punishes would-be creatives from understanding that the path to success is a long, winding journey of self-discovery that can only be accomplished by doing. Lastly, I want to remind you that this 2017 challenge isn’t a competition, it’s a journey we will take together. 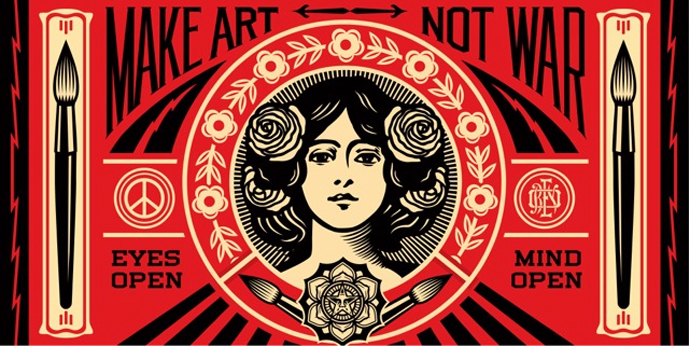 Make Art Not War is also a path you will shape and own as the year progresses, and there’s no telling where you’ll end up–but it’s all up to you. I’m not here to force you to make art or to make great or subversive art. I won’t claim or suggest that this challenge could ever replace the real world problems we’re all facing right now. This tiny increment of time dedicated to making art is in spite of everything else you’ve got going on, and I trust you’ll use it to your own ends. I hope you’re pumped and ready to jump right in. To help you succeed, I’m going to provide creative prompts and address different topics in making art for the weekly check-in. 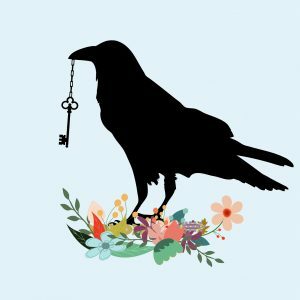 Right now my newsletter goes out every Thursday, and that will send all site updates including my convention appearances, new releases, and MANW Challenge updates straight to your In Box. You can sign up for that service on this link, or you’re welcome to drop by at any time. Weekly check-ins will be posted every Wednesday, in part because I need to do them even when I’m at a convention; newsletter subscribers will see them the following day. Lastly, don’t forget: your fellow MANW 2017 challengers are out there. 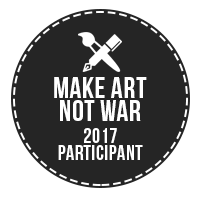 Use the hashtag #manw2017 or the longer version #makeartnotwar2017 to find them on Twitter and Facebook. Good luck! Every month, I’m going to post a theme you’re free to cue off of if you need it. This month’s theme is inspired by the start of the year. After all, you’ve probably got a resolution or two. And, just like last year, you’ve also heard folks say you won’t keep your pledge or you’ll abandon your goals by the end of the month. The first step, of course, is to have the desire for change. That’s all a resolution is: a promise you make to yourself, borne from desire. Carving out an hour of time a day is–absolutely–change that you’ll need to make. I can’t tell you how to facilitate change in your life; all I can do is inspire you to make it happen. Of course, making art is easier if you know what you want to do. Confused? Frustrated? Not sure where to start? This month’s theme takes your uneasiness and bewilderment into account in order to ensure you’ll stick with the challenge and not get discouraged as the weeks roll by. Have you ever watched to cross-stitch? Have you thought about trying your hand at origami, calligraphy, or drawing dragons? Instead of learning techniques and putting pressure on yourself to get it right the first or even second time, spend your challenge time playing and having fun with paint, paper, ink, pixels, etc. It doesn’t matter what medium you play around with, either, or how often you switch things up. Experiment, experiment, laugh at yourself, and then play some more. Libraries, Museums, Craft Stores(2) – Check your local community newspaper for events and classes in your area. Cost will range from free to $15 on up, not including materials, but they’re there for you if you need a teacher. Sometimes, that’s a great way of connecting to other people in your community, too. Barnes & Noble Clearance – In B&N, they have a Clearance section that often has kits you can try. Cost is usually around $10 to $20. Pinterest – I love Pinterest, because I’ve found a wealth of DIY resources for upcycling and using materials I have in the house. Plus, patterns galore! Use some keyword searches and have at it. YouTube! – The amount of tutorial videos are mind-bogglingly awesome. There is everything from watercolors to origami to bead stitching to makeup to costuming to… Seriously, YouTube! should seriously think about turning these tutorials into a university or some other compendium. Whatever you want to make, just type your keywords into YouTube! and the site will do the rest. Manufacturer websites – If you’re familiar with a particular brand of material (yarn, markers, styluses, etc.) visit the manufacturer’s website. Often, they’ll have tutorials attached to help you get a better feel for using their products. Online Magazines and Communities – Google is your friend! Most mediums have websites, community sites, or online ‘zines dedicated to them. Usually takes a good fifteen, twenty minutes to narrow down results and find a few sources. You’ll want to refine your search by adding the word “beginner” once you find a magazine that speaks to you. Sometimes, they’ll have projects geared for multiple difficulty levels, so you can grow with the site as your talent does. Play(1) is a concept that’s often overlooked and even condemned. When we’re adults we’re not supposed to play, we’re supposed to work and often guilt sets in when we’re having fun. That’s for kids, right? Unfortunately, making art is often thought of as child’s play to begin with, and those stereotypes tend to devalue the art we make. Being a professional artist means we make art for a living, and once money is attached to making art the conversation evolves and changes even further. Exploring and expanding our boundaries, however, requires play to have fun, keep our inner artist motivated, and also allow us to discover what kinds of art we enjoy making. This month, toss Puritanical mindsets out the window and embrace the concept of play to give your brain a rest and help you find your internal compass. You cannot constantly produce or always focus on the anxiety of producing–your brain needs a rest. So play! Have fun! And make messy, glorious art! (1) Games channel our ability to play, but doing so isn’t always an act of creation. Unless we’re designing campaigns in a story-based game or building characters, we’re still consuming what someone else has made. (2) I’d add conventions to this list, but those can be cost-prohibitive. Many do have creative tracks, but you have to sign up ahead of time. Mood: So focused I shoot laser beams out of my eyeballs. Caffeinated Beverages Consumed: How much is too much? Work-Out Minutes Logged Yesterday: I mentally exerted the effort to think about it. Latest Artistic Project: Make Art Not War 2017 Challenge and Rules and an owl bracelet.